The 7081 voltmeter is a high quality instrument designed for calibration, laboratory and systems applications. It combines superb measurement performance with data storage facilities and processing power. The unit has no internal options having all facilities as standard. Facilities The instrument provides the following facilities: •	DC voltage and resistance measurements to a scale length of 140 000 000 and true rms volts ac, or volts ac + dc, to a scale length of 1400 000. •	The ability to ratio any of the above inputs to a dc voltage or to a constant. •	Automatic storage of results (History file). •	Processing of measurements to provide additional results. •	Remote control using either RS232C or IEEE-488 (GP-IB) interfaces. •	Calibration, via either of the two interfaces, without the need to remove covers. •	Interface for Minate analogue scanner, providing a multi-channel measurement capability. Measurement Capability DC voltage measurements can be made using scale lengths of 3,4,5,6,7 and 8x9; the 3 and 4x9 scales are available only by remote control. Each scale length provides a different integration time and can be used over all ranges, i.e. 0.1 to 1000V. Two types of ac voltage measurement are possible; a true rms value of the ac component only of an input or the rms of the total signal (ac + dc). Scale lengths of 3,4,5, and 6x9 and ranges of 0.1 to 1000V are available for both types of measurement. Ranges of O.1kΩ to lOOOMΩ are provided for resistance measurement; the 0.1,1,10,100 and lOOOkΩ ranges use a 4 terminal technique whereas the 10 to lOOOMΩ ranges use a special ratio method. The 7081 also offers a ‘True ohms’ facility, i.e. the unit measures the resistance with the Current source off and then with it on. Subtracting the former measurement from the latter removes any errors caused by thermal emfs or external currents. The 7081 ‘True ohms’ facility can deal with emfs of up to 10V. All measurements taken by the 7081 are averaged readings over the selected integration time. 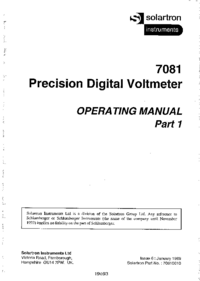 Operating Manual Part 1 and Part 2 The 7081 operating manual is arranged in two separate parts, covering local and systems (remote) use. Each part contains all the information necessary for operating the instrument in that particular role. Included in Part 1 is the specification applicable to the functions described, the tables showing the expected instrument performance relative to time since calibration. 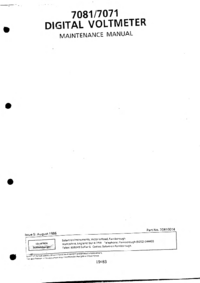 A further section of Part 1 is devoted to the unit’s processing capabilities and front panel operations. Part 2 describes the use of the instrument in a systems environment. 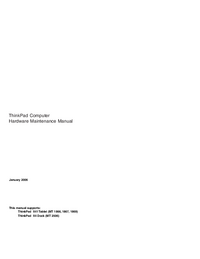 INTRODUCTION This manual contains technical information that is intended primarily to meet the needs of the service engineer. A detailed treatment of the principles of operation is not included but the descriptive text covering each circuit diagram is sufficient to enable the reader to understand the purpose of the circuit and its effect on its input(s). To facilitate fault diagnosis, attention is drawn to peculiarities of circuits, together with any precautions necessary when carrying out checks. Both the 7081 and 7071 have identical electronic circuits. This means that all the circuits diagrams included in this manual are valid for both instruments. The difference between these two instruments exists primarily at the Software level, and on the higher specification components required by the 7081 . The 7081 undergoes a significantly more rigorous quality control procedure. 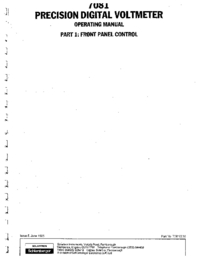 PART 1: FRONT PANEL CONTROL The 7081 operating manual is arranged in two separate parts, covering local and systems (remote) use. 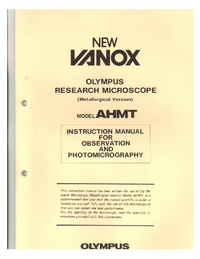 Each part contains all the information necessary for operating the instrument in that particular role. Included in Part 1 is the specification applicable to the functions described, the tables showing the expected instrument performance relative to time since calibration. A further section of Part 1 is devoted to the unit’s processing capabilities and front panel operations. Part 2 describes the use of the instrument in a systems environment.